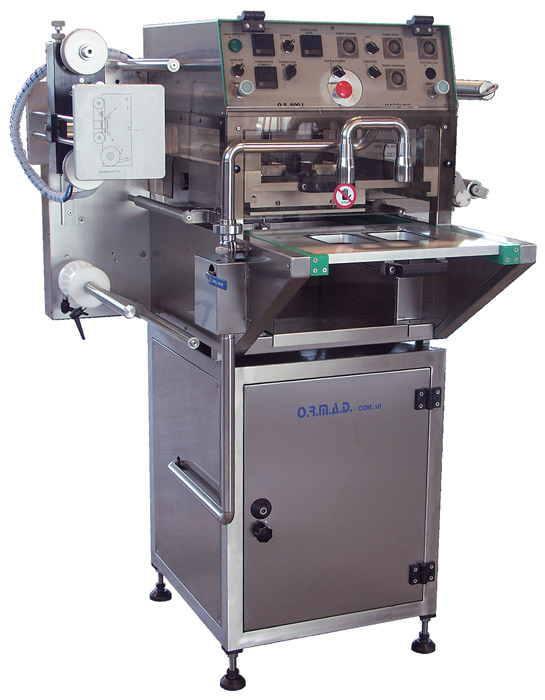 Practical, manageable and extremely expandible thanks to the rich series of already ready accessories, the thermo-sealing machine O.S. 600 inox allow to watertight realize confection on measure, sealing whichever plastic container. The O.S. 600 inox model is made entirely of AISI 304 stainless steel and anodised aluminium alloy. 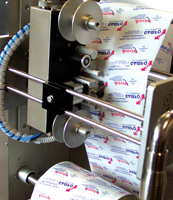 The film trimming all over the container boundary and the automatic swarf-rewinding allow fast packaging cycles and perfect tray finishing. The O.S. 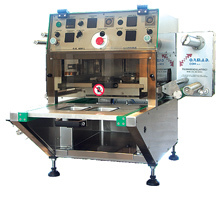 600 inox machines are equiped with electrical and mechanical supplies for the insertion of eventual ready-to-install accessories: device for packaging data printing, photocell automatic printing alignment and liquid dosage, automatic drawer for trays lodging. The hot printing group print on the plastic film date and time of packaging. The O.S. 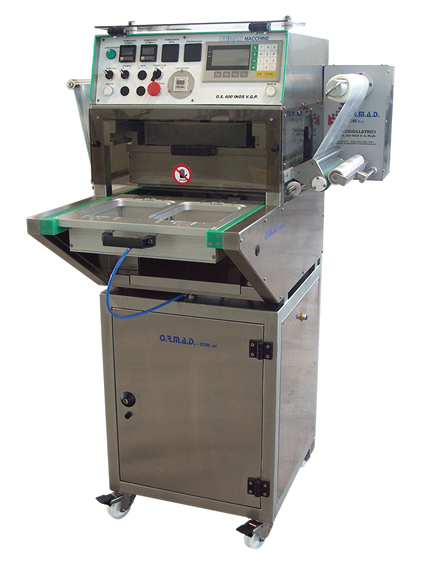 600 serie is available with or without the inox base. 12 months warranty, electronic components excluded. Volumetric measure group with centrifugal pomp. Store available spare parts with immediate delivery.